The trailer for ‘Bridget Jones’ Baby’, the newest Bridget Jones movie was very much appealing to me and I’m meaning to watch it soon, but I honestly haven’t seen any of the previous movies yet. 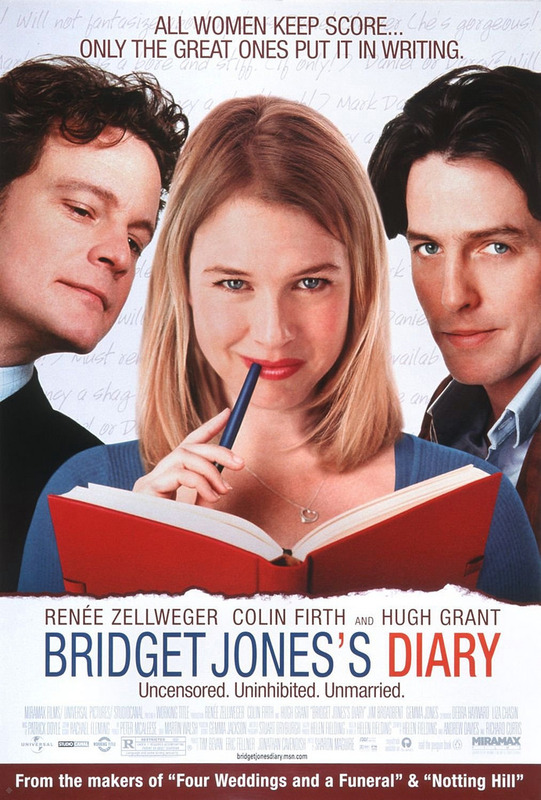 That was until two nights ago, when I chanced upon their first movie, ‘Bridget Jones’s Diary’ showing on TV. Watching it for the first time, I found it to be much of a delight. I don’t know really. Is it because she’s single and on a challenging search for that elusive love, and it is something I can pretty much relate to? In the movie though, in the craziest way, in a wonderful chance, she found a wonderful gorgeous man who was willing to take a chance on her. Mr. Darcy. Wait, he sounds familiar. Oh yes, Pride and Prejudice. A little googling told me that Bridget Jones book and movie are actually loosely based on Pride and Prejudice, especially on the BBC series starring Colin Firth. Oh yes, Mr. Darcy. I was also in love with the Mr. Darcy from the 2005 movie version of P&P. Okay, back to Bridget. And her Mr. Darcy. Oh, I don’t really know if it was such a good idea to watch the movie while I am hormonal, highly emotional, and all that shiz. Somehow it has uncovered and unearthed all that subconscious longing and that unfulfilled desire for the love of my life, who somehow hasn’t shown himself yet after all these years. I’ve enjoyed watching Colin Firth, Mr. Darcy. Where do I find myself a real life man like that? So I was pining for my own Mr. Darcy during and after the movie. Then went to bed (alone). Lo and behold, my dreams may have revealed to me my hidden desires. Wonderful vivid dream about a guy I was in love with from long ago. It was the sweetest dream I’ve ever had for the longest time. I wish it never ended. Honestly, I don’t really think I want him back, whoever that specific person was in my dream. But how I long for that feeling again. Why has it always been so elusive? I had to watch the second movie too, ‘Bridget Jones – Edge of Reason’, since it won’t be long until the third movie is available in the cinemas for me to watch. I watched it tonight, and again just fell for Mr. Darcy even harder. Perhaps I did not relate with Bridget in the second movie as much as the first, since I didn’t agree with her reasons for questioning her relationship with Darcy. But Darcy has just been such a delight. Within the next hour I shall go to sleep, but now I am already wondering what dreams will come this time around.